Netflix said Friday night that Kevin Spacey will no longer be a part of House of Cards and it’s cutting all other ties with the actor after a series of allegations of sexual harassment and assault. “Netflix will not be involved with any further production of House of Cards that includes Kevin Spacey,” the company said in a statement. Netflix said it will work with the show’s production company MRC to evaluate whether it will continue without him. The 58-year-old Spacey was nominated for best drama actor Emmy Awards during each of the show’s first five seasons, but never won. He played a ruthless politician who ascends to the presidency of the United States. Co-star Robin Wright is also a central player on the show, and it could conceivably continue with a focus on her. Netflix says it also will refuse to release the film Gore, in which Spacey stars as the writer Gore Vidal and also acted as producer. 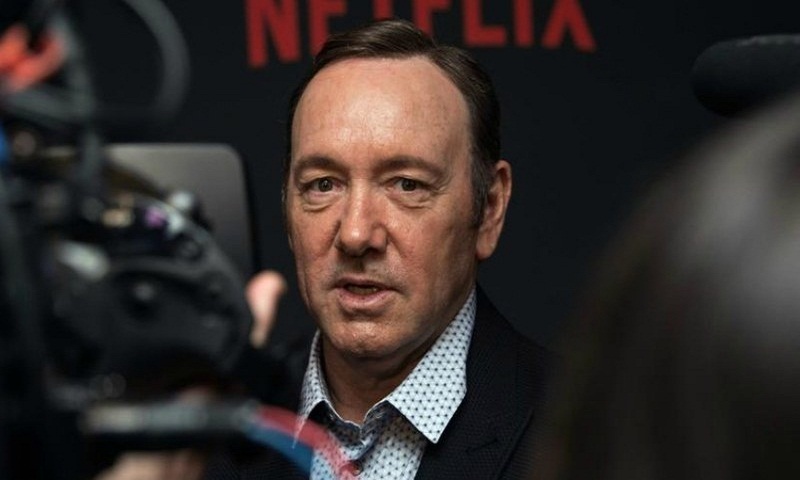 CNN reported that eight current or former House of Cards workers claim that Spacey made the production a “toxic” workplace and one ex-employee alleges the actor sexually assaulted him. The Academy Award-winning actor became ensnared in Hollywood’s fast-growing sexual harassment crisis after actor Anthony Rapp alleged Spacey made sexual advances toward him in 1986, when Rapp was 14. Spacey has said he doesn’t remember the alleged encounter reported by BuzzFeed News last weekend but apologized if such “drunken behavior” occurred. Police did not identify Spacey by name but said the department’s child abuse and sexual offenses unit is investigating the reported assault after it was referred to police earlier this week. In a company memo shared with The Associated Press, magazine owner Win McCormack wrote that Fish’s resignation was effective immediately and that an internal investigation would continue. Fish, who joined The New Republic in 2016, had been placed on leave of absence last week. He is a former publisher of The Nation. Fish wrote in an email to the AP that he “felt the controversy swirling around us could cause irreparable harm to the magazine, and that the only way to protect The New Republic and its employees was for me to separate from the organization.” Noting his time with such organizations as The Nation, a prominent liberal publication, and with Human Rights Watch, he wrote that he had spent his career in “in progressive media and the human rights field.